Since 2001, Marquez Iron Works has expertly installed stylish, affordable security screen doors and folding security doors for countless satisfied Orange County area commercial and residential customers. At Marquez Iron Works, we are a family-owned and operated company who is committed to providing the highest quality ironwork products in conjunction with excellent customer service. Our expert craftsmen observe the highest quality standards of workmanship, and carefully construct and install all of our security screen doors and folding security doors in strict compliance with current safety regulations, homeowners association CC&Rs and all relevant building codes. At Marquez Iron Works, we offer free design suggestions and then provide estimates on the various security options available to meet our clients' needs; then we work closely with our residential and commercial clients, to provide them with the most effective yet affordable solution for their particular situations. But providing effective security for your home, business, or commercial property does not have to come at the expense of your home or building's appearance. 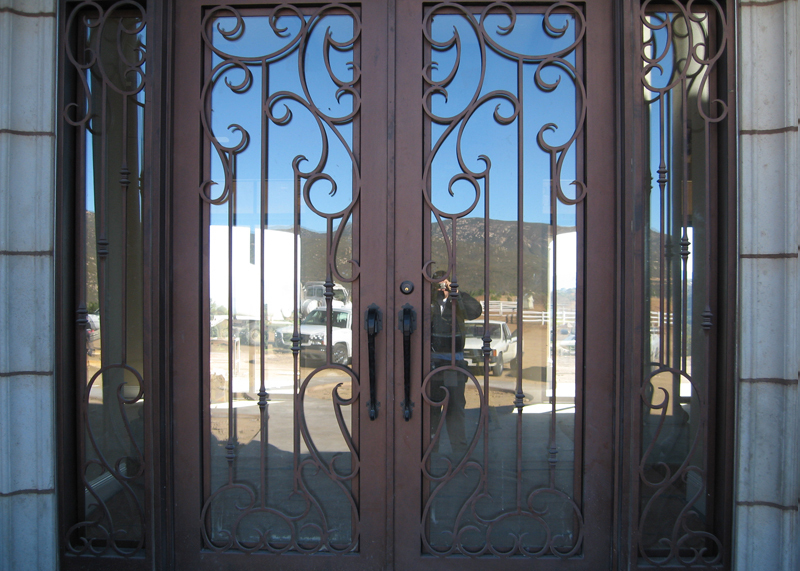 At Marquez Iron Works, all of our security doors are artfully designed to complement your home or commercial building's exterior, and are available in a variety of custom designs which will enhance the look and value of your home or business. Call us today for a free consultation and estimate on a security solution to fit your needs. 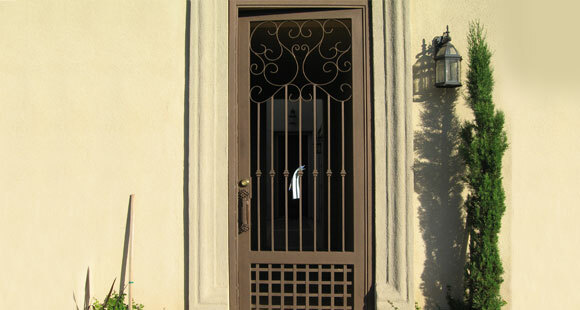 The security iron work professionals at Marquez Iron Works are licensed, bonded, and insured.